Last month was the launch of the Living with Dementia Support & Information Sessions. 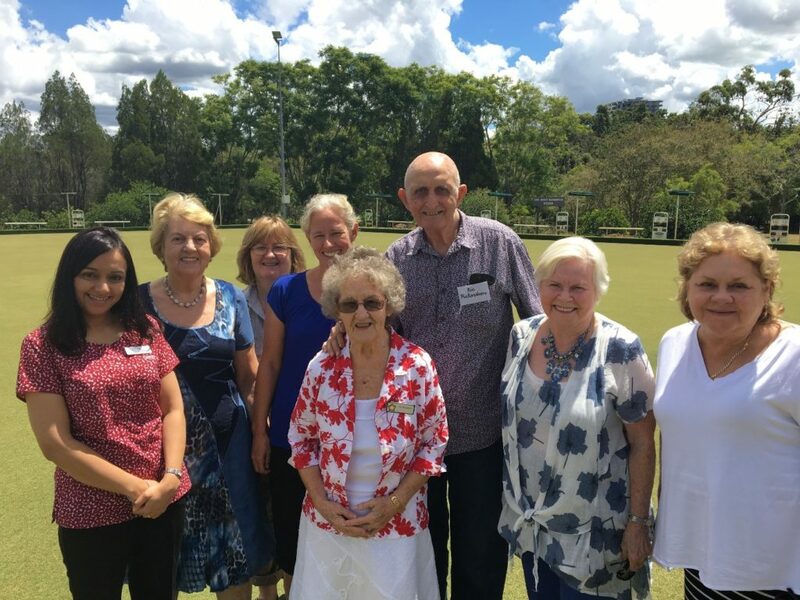 The first meeting was at the Toowong Bowls Club and it was a full house with guests of all ages and varying experiences with dementia, as well as representatives from Jubilee Community Care and Ozcare. Pictured below are some of the attendees – from left to right: Shilpi, Lorraine, Mary Ann, Catherine, Ann, Ric, Ann and Karyn. Catherine and Shilpi, our dementia experts, kicked things off with an in-depth explanation of dementia and the potentially different journeys those living with it might experience. Dementia is the umbrella term to describe over 100 diseases and symptoms with 60 to 80% of diagnosed cases being Alzheimer’s. It is a collection of symptoms explained our dementia experts. They showed the group pictures of a healthy brain versus a brain affected by dementia, which was shrunken and had holes in it. They went on to explain that the symptoms depend on what part of the brain has been affected as can the length from diagnosis through to the passing away of the person affected can vary greatly. It was a great opportunity for guests to share their personal stories of diagnoses of dementia and to get answers to some of their questions. The information session finished off with some practical information on the support available to those living with dementia. Over morning tea, there were some great conversations between guests living with dementia, carers and our team. The whole morning gave guests a chance to talk in a supportive environment about something that can be very personal. It was a great start to the series of sessions, which will be running bi-monthly throughout the year. The next meeting will centre around ways to manage some of the communication challenges that can be part of living with dementia. Next free session is Tuesday, April 4 from 10am to noon at Toowong Bowls Club.